Women CEOs Make Headway in 2016 | Challenger, Gray & Christmas, Inc.
Of the 1,043 replacement CEOs recorded in 2016, 193 or 18.5 percent were women. That was up from 2015, when women represented 157 or 15 percent of the replacement CEOs announced by US-based companies. Overall, the CEO replacement rate among women has grown by 71 percent since 2013, when women accounted for 11 percent of the 977 new CEOs stepping in for those exiting the post. Men still represent the vast majority of CEO replacements, accounting for 850 of the replacements recorded in 2016. In 99 of those instances, men were named replacements for women. However, last year also saw 129 women replace male chief executive officers. Among the more notable companies that saw women take over the CEO post were Staples, Hershey, Hertz and tobacco giant Reynolds American Inc.
“Women are definitely making gains in the management and professional occupations. As they do, more and more move up into the executive suite and are increasingly exposed to opportunities for the top spot,” said John A. Challenger, chief executive officer of Challenger, Gray & Christmas. Indeed, the latest data from the U.S. Bureau of Labor Statistics indicate that women now outnumber men in management, professional and related occupations. As of December, there were 30.6 million women in these job categories, compared to 29.5 million men. While women are making gains within corporate America, the nation’s largest companies have been slow to address the lack of gender diversity in their upper ranks. As of 2015, just 7 percent of Fortune 1000 CEOs were women. Where women seem to have made the most headway is in human resources and marketing, where they represented 62 percent of chief human resources officers and 48 percent of chief marketing officers. “Unfortunately, change occurs slowly at large organizations. We are far more likely to see change at small and medium-sized companies. We are also seeing significant growth in the number of women-owned businesses. As of 2012, there nearly 9.9 million of these enterprises, up from 7.8 million in 2007,” noted Challenger. 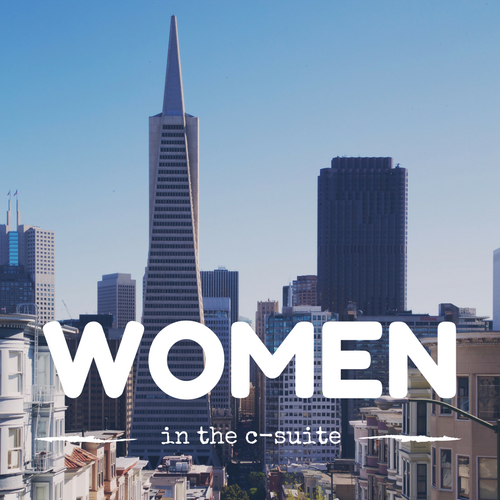 “This should not excuse Fortune 1000 from continuing efforts to move more women into the c-suite and into the role of CEO. Numerous research studies have found substantial benefits by having strong female leadership,” said Challenger. A 2015 report from MSCI ESG Research found that companies with strong female leadership generated a Return on Equity of 10.1 percent per year versus 7.4 percent for those without. In addition, its research indicated that companies lacking board diversity tend to suffer more governance-related controversies than average.